Sponsored & Hosted by University of Bristol. Decorated by Carrie Love. 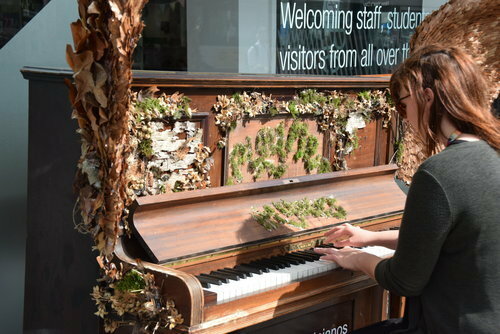 This piano is no longer available, as it has been donated to the University of Bristol Student Union’s Balloon Bar. 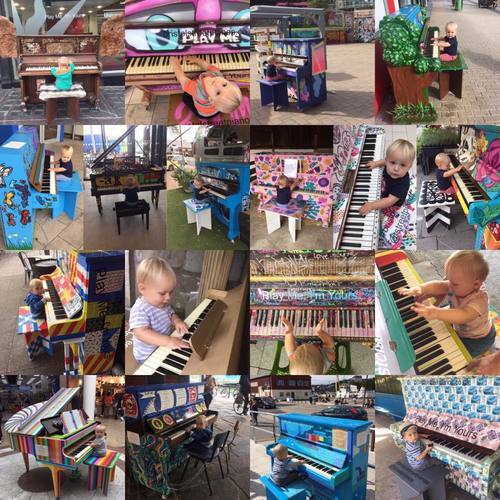 My 16 month old boy and I have loved finding all 18 of the Bristol Street Pianos! It has been great fun visiting the different locations, and meeting the many wonderful people and musicians along the way! Thank you to all the artists and sponsors who made this possible and have inspired my little one to love music even more than before. Gurt lush choir having fun! Gurt Lush Choir having fun at the piano at Beacon House. 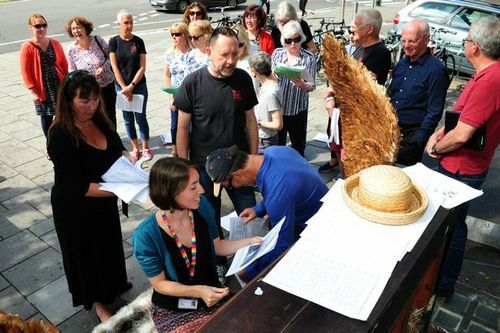 Come along to our free performance today at Beacon House, 1 pm and hear some singers accompany the piano! Enjoying the piano at Beacon House! This piano gives you wings! 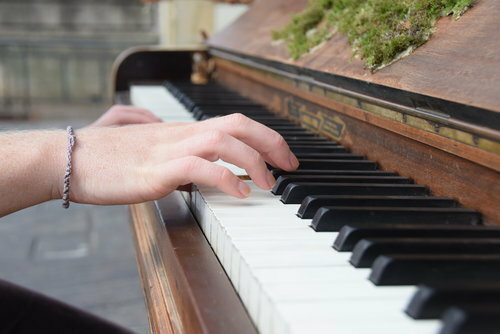 A chap sat down to try out this piano as we were installing it this morning. 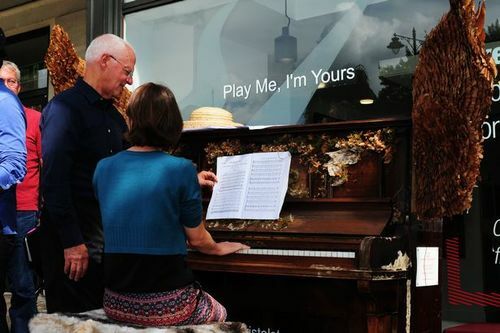 It needs tuning so it won't be available to play until Thursday 17 August. 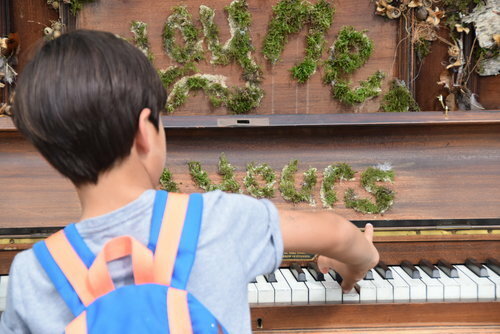 The piano looks amazing outside Beacon House, but we've put it inside into storage until the project launches on Thursday 17 August, then it's all yours to play!